"This is an amazing volume, representing a staggering range of views, methodologies, and traditions." "If feminism is to do justice to its claims of inclusiveness regarding the thought and lives of women, then it needs to be mindful of its own exclusionary past, its practices of gatekeeping and romantic claims about sisterhood. 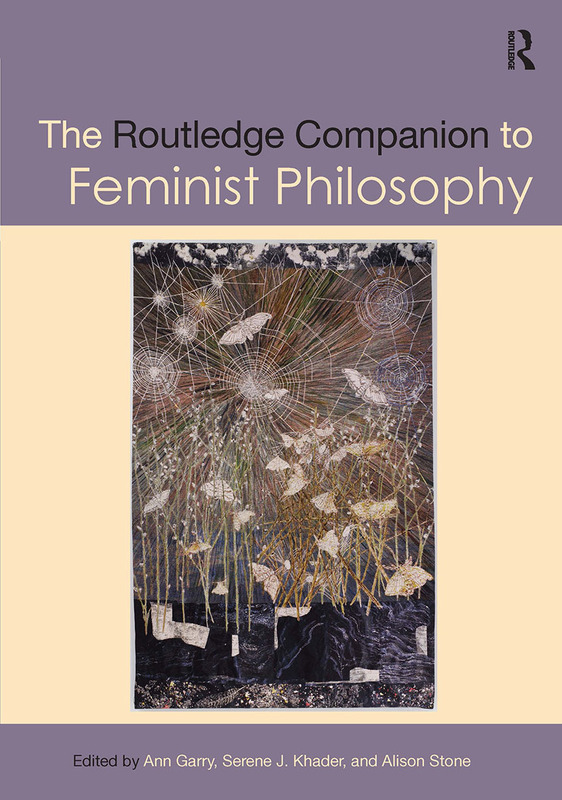 The Routledge Companion to Feminist Philosophy, conceived as an interdisciplinary, historical and conceptual collection of essays written by an array of thinkers versed in both the analytic and continental philosophical traditions, aims for a more critical, more inclusive feminist theory and practice. Let this collection accompany us in this crucial endeavor, learning from it and enhancing it as we work towards this richer feminist vision." "The Routledge Companion to Feminist Philosophy presents an exciting, comprehensive, and original pluralist presentation of feminist philosophy that is a much-needed update to existing feminist philosophy companions. Students, scholars, independent researchers, and departments interested in feminism and philosophy would do well to make sure they have access to this volume, and it should be a relevant resource for years to come. Reviewing such an expansive presentation of feminist philosophy across differences also raises considerations about the meanings and limits of pluralism and inclusion in feminist philosophy as an ongoing collective project." Ann Garry is Professor Emerita of Philosophy at California State University, Los Angeles. Her work in feminist philosophy ranges from applied ethics to intersectionality and feminist philosophical methods. Serene J. Khader is Jay Newman Chair in Philosophy of Culture at Brooklyn College and Associate Professor at the CUNY Graduate Center. Her research in feminist philosophy focuses on global gender justice. Alison Stone is Professor of European Philosophy at Lancaster University, UK. She specializes in feminist philosophy and post-Kantian European philosophy in the nineteenth and twentieth centuries.